The Rule of Benedict. Text, translations, bibliography. Index. Order of Saint Benedict (OSB). "... an epitome of Christianity, a learned and mysterious abridgement of all the doctrines of the Gospel, all the institutions of the Fathers, and all the counsels of perfection" (Bossuet, 1627-1704, Bishop of Meaux). Regula Benedicti in Latin and German. © 2013 Salzburger Äbtekonferenz. Regula monachorum. Text llatí segons el manuscrit de Sankt-Gall Sant Benet de Núrsia. Montserrat, Johannes Luschner, 1499. Digitized verson of an incunable printing of the text of the Rule of St. Benedict according to the important manuscript from St. Gall Library, Switzerland. Ignasi M. Fossas [et al. ], Regla per als monjos: text llatí/català , Barcelona, Publicacions de l'Abadia de Montserrat, 1997 ( Subsidia Monastica , 21). The Rule of Our Most Holy Father St. Benedict, Patriarch of Monks, from the Old English Edition of 1638 . Edited in Latin and English. (London: Washbourne, 1875). PDF version. Today's reading of the Rule (Even chapters for women; odd for men. Doyle 1948; adapt. 1995). The Rule in English arranged by chapter titles. Select a passage of the Rule by date(s). The Rule of St. Benedict by chapters (Boniface Verheyen OSB, Atchison, 1949) or in various formats at CCEL. The Rule of St. Benedict (CCEL; London, 1898). Appended to the Life of St. Benedict . Holy Rule Daily Meditation, a Yahoo! Group: meditations by Bro. Jerome Leo OSB, St. Mary's Monastery, Petersham, MA. Study the Rule of St. Benedict (Prol.- Chap. 73) with commentary by Abbot Phillip Lawrence OSB of Christ in the Desert Abbey. Early Feminine Versions of the Rule . Ed. by Frank Henderson et al. (American Benedictine Academy). Comprehensive Index to the Rule of St. Benedict . Keyed to RB 1980 (Lit Press, 1981) by Br. Steven Olderr OSB. Available in two formats: PDF (online; 601 KB) or MS .docx (download for MS Word; 125 KB). Benedict's Rule: A Translation and Commentary by Terrence G. Kardong, O.S.B. is the first line-by-line exegesis of the entire Rule of Benedict written originally in English. This full commentary -- predominately a literary and historical criticism -- is based on and includes a Latin text of Regula Benedicti. Liturgical Press. Hardcover, 664 pp., 6 x 9, ISBN 0-8146-2325-5, $64.95. A Critical Study of the Rule of Benedict, the work of Dom Adalbert de Vogüé OSB, serves as the basis for all serious study of the Rule of Benedict. This series is an essential resource for every monastery, abbey, or group that finds in the Rule of St. Benedict a source of inspiration. Volume 3: Liturgy, Sleeping Arrangements, and the Penal Code (RB 8-20, 22-30, 42-46) by Adalbert de Vogüé; Translated by Sister Colleen Maura McGrane OSB, 2019. Three-vol. set. The Rule of Benedict: An Invitation to the Christian Life by Georg Holzherr, OSB; Translated by Mark Thamert, OSB. In this new translation, based on the completely revised seventh edition of Die Benediktsregel , Holzherr has created a profoundly rich commentary using up-to-date research methods and the latest translations of ancient monastic texts. This edition also features a completely revised and expanded introduction and commentary. New research in the field of early monasticism is offered, including new insights into the monastic life of women. Finally, the updated bibliography and a detailed index are valuable tools for anyone wanting to explore the extraordinary world of Saint Benedict. Liturgical Press, 2016, 658 p. Hardcover/e-Book. The Rule of Saint Benedict , translated from the Latin by Leonard J. Doyle OblSB with introduction by Rev. David W. Cotter, has been adapted for use at the archived OSB website with the division into sense lines for public reading of the first edition that was republished in 2001 to mark the 75th anniversary of Liturgical Press. Hardcover and paperback editions of Doyle's translation are available. Benedict Backwards: Reading the Rule in the Twenty-first Century by Terrence G. Kardong, O.S.B. Kardong shows the final chapters of the Rule are primarily about community, and they provide insight into Benedict's vision for his monks. Liturgical Press, 2017, 142p. Paperback and e-Book formats. Saint Benôit. Règle (Intratext version; some rights reserved by Èulogos SpA - 1996-2007). Veillieux, Armand OCSO. Commentaire de la Règle de saint Benoît . In French and Italian for the community of Scourmont. Regel des Hl. 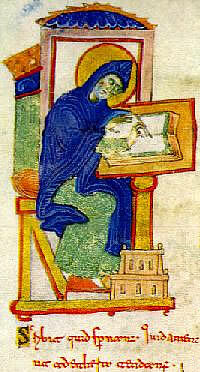 Benedikt . © 2013 Salzburger Äbtekonferenz. Also in German and Latin. Heiliger Benedikt. Regel (Intratext version of translation above). Szent Benedek Regulája from Pannonholma Archabbey, Hungary, as a PDF document. The Italian translation with a parallel Latin text and the Biblical references used in the Rule is available thanks to Alberto da Cormano. San Benedetto. Regola (Intratext version of translation above). Regra do glorioso Patriarca São Bento (by chapters; PDF 404kb); Tradução e notas de D. João Evangelista Enout OSB, do Mosteiro de São Bento do Rio de Janeiro. Edições "Lumen Christi", 1980 - Mosteiro de São Bento, Rio de Janeiro, RJ, Brasil. São Bento. Regra (Intratext version of translation above). Although there are only a few Benedictine women in Romania, there is great interest there in monasticism. Marius Ivascu has created for the OSB website the first translation directly from the Latin text of the Rule of Saint Benedict into Romanian. It is available below both as an Adobe PDF file and as a MicroSoft® Word document. He has also translated St. Gregory's Life of St. Benedict . La Regla de San Benito from Abadía de San Benito de Luján, Argentina, with separate indices by chapter, structure and topics. La Regla de los monjes (L'abbaye Notre-Dame de Scourmont, Belgium; frames). San Benito. La Regla de los monjes (Intratext version; Édicones ECUAM, Argentina, 1996). The Rule of Saint Benedict in Thai (.docx; 128 KB). Translated by Msgr. Andrew Vissanu Thanya-Anan, Deputy Secretary General of the Catholic Bishops' Conference of Thailand, 2017, 105p. The Rule of Saint Benedict in Vietnamese (PDF; 546 KB), 40p.